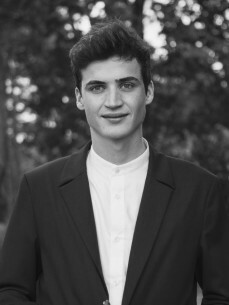 Belgian teenager Henri PFR is not your average 19 year old. Whilst it’s not unusual for most teenagers to go out clubbing every weekend you’ll usually find them on the dancefloor not behind the decks, for Henri though playing to thousands at clubs and festivals each weekend is a reality. From playing in Europe one weekend, to the United States the next, Henri is living the dream playing alongside some of the biggest acts in the world. Releasing his debut at the age of 14, Brussels based Henri caught the ear of both the public and his peers in the electronic music community and in 2014 scored a global club hit with ‘Tarida’, released on Armin Van Buuren’s label, Armada Music. Since then Henri’s racked up millions of plays of his original productions and remixes via SoundCloud, where his remix of Novo Amor’s ‘From Gold’ topped the Deep House chart for 2 weeks, further establishing himself as one of Europe’s brightest new talent. Henri’s innate knack for melody, combined with his sunny disposition, shines through in his music that has a lightness of touch rarely found amongst the ranks of EDM’s big hitters. With several new remixes, releases on labels such as Warner Music and Sony Music lined up, a collaboration with Robin Schulz and a busy touring schedule, expect to hear a lot more from this talented young producer over the coming months.